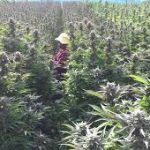 SOUTH AMERICA IS READY FOR THE CANNABIS BOOM! 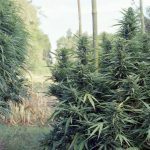 "While big investors eye South America for the cannabis industry and Legal cannabis sales in “key South American markets” are expected to surge from just $125 million in 2018 to $776 million by 2027, according to a recent report released by Arcview Market Research in partnership with BDS Analytics only one country in the world has federally legal recreational cannabis." Exploring South America! With prices so low you will want to check it out just to see what's there! Been to some of the beautiful countries in South America? Leave a rating and inspire a traveler today! When it comes to weed, Latin American cities serve up some of the cheapest globally. According to a recent study by Seedo, you can get a gram of ganja in five Latin America nations for less than US$5. Here’s where you can find the cheapest weed globally. 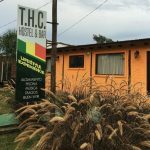 In Quito, Ecuador, where weed is partially legal, you can buy a gram for a mere US $1.34, the lowest anywhere in the world based on the 120 countries surveyed, which excluded the Caribbean region, including Jamaica. 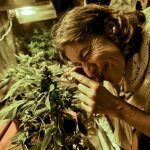 In Bogota, Colombia, a gram of marijuana will set you back just US $2.20, that’s the second cheapest out of the 120 countries surveyed. Weed here is partially legal as well. 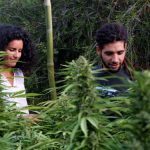 In Asuncion, Paraguay, a gram of partially legal weed will cost US $2.22, the third cheapest out of the 120 nations surveyed. In Panama City, where ganja is still illegal, you can still get a gram for less than four dollars at US $3.85 per gram, the fourth cheapest in the survey. In Montevideo, Uruguay, where marijuana is legal, you will have to shell out a bit more than the other Latin American cities featured here but at US $ 4.15, it is still far cheaper than weed in South Korea or Japan at under $5 and the fifth cheapest globally – at least in the Seedo list of cities and nations surveyed.